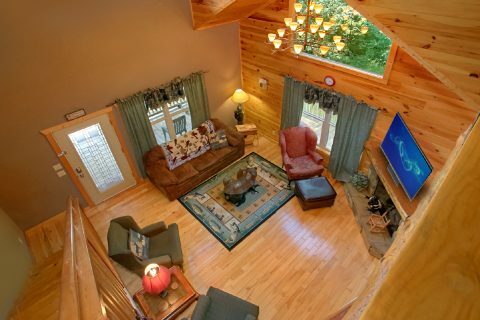 Welcome to "Pigeon Forge Hideaway," an excellent cabin rental near Dollywood that sleeps up to 8 guests! 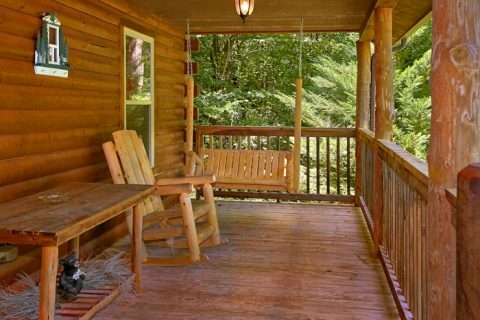 Previously known as "All Tucked Inn Kimbles," this comfortable cabin is ideal for spending quality time with your family and friends. 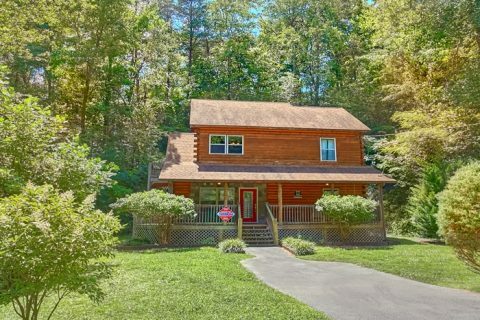 With a location convenient to Dollywood and the action of Downtown Pigeon Forge, this cabin rental keeps you close to the sights you want to see! 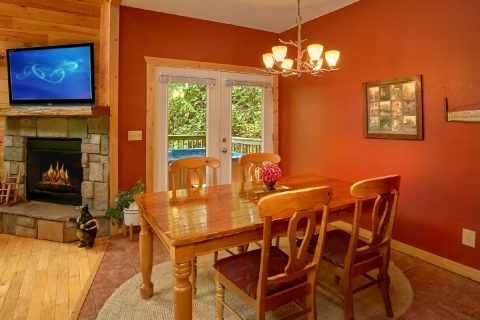 Additionally, your cabin gives you a comfortable cabin interior that will give you and your family everything you need for a memorable mountain vacation! 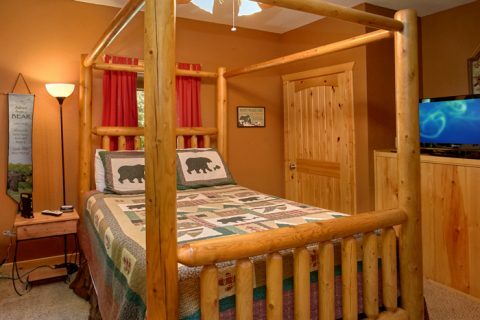 From the excitement of Dollywood to family fun at mini golf, great shopping to great food, your Pigeon Forge family cabin allows you to quickly access all the attractions in the Smoky Mountains. 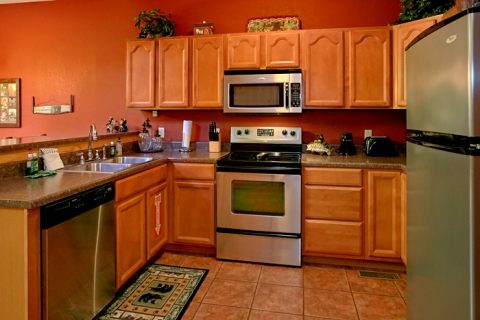 Your cabin's location offers paved roads and city utilities to make your cabin stay as comfortable as possible. 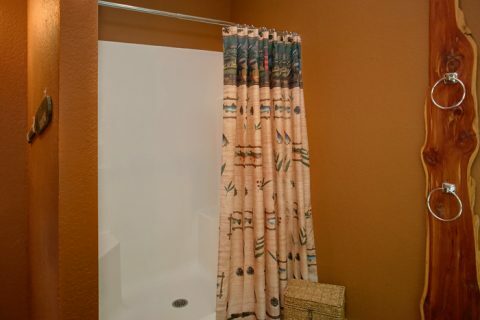 But your cabin offers much more than basic creature comforts. 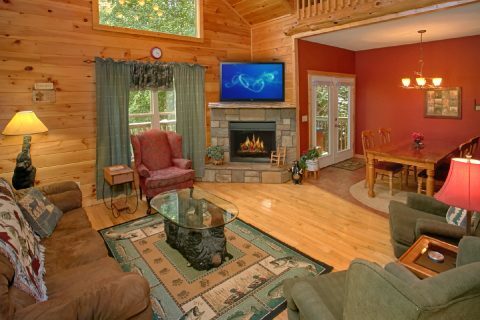 Gather around the electric fireplace to enjoy a movie together. 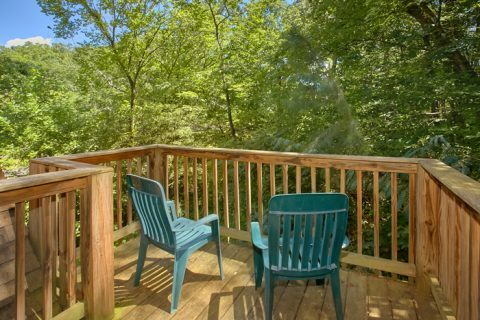 Enjoy a breakfast fresh from your kitchen out on the deck. 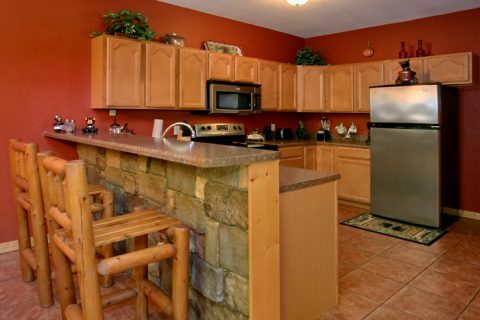 Host a cookout on the charcoal grill and enjoy the fresh mountain air with your family. 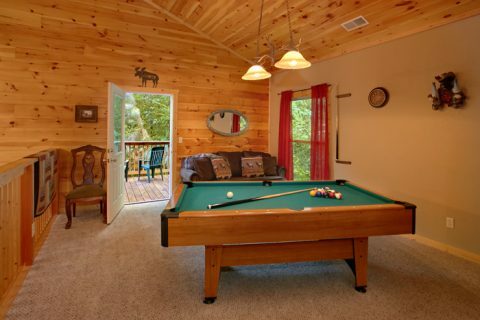 Partake in a family pool tournament around the pool table in the game room. Stream your favorite movies and games on the wireless Internet. 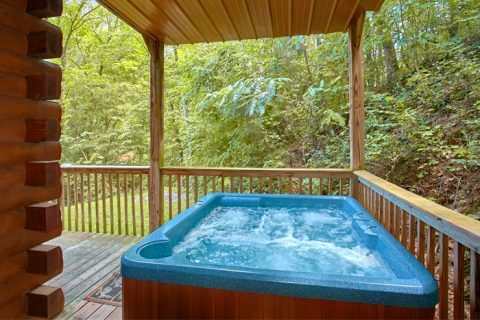 Relax in the hot tub and forget your cares and worries. When it's time to retire for the evening, guests will find plenty of space to enjoy a peaceful night's rest. 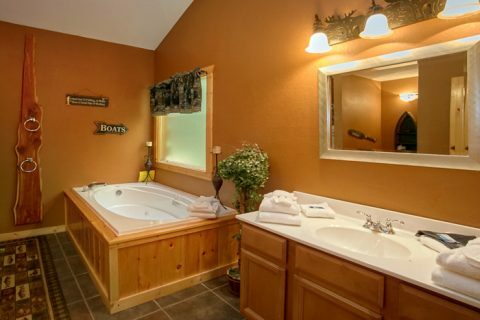 You can choose to relax in the king bedroom with jacuzzi tub. The main level queen bedroom provides another place to unwind. Kids will love sleeping in one of two sleeper sofas in the cabin. 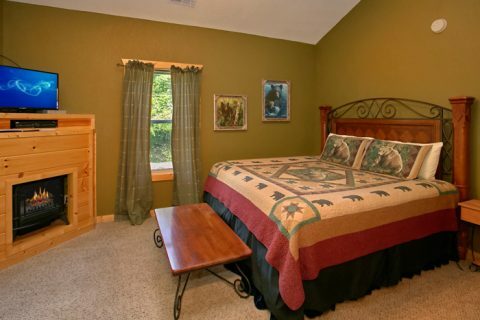 One located in the loft is perfect for dozing off after playing games of pool. 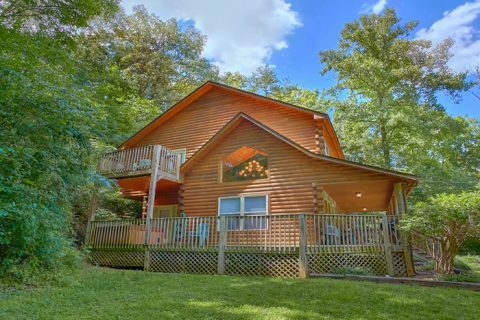 Book your Pigeon Forge cabin with Cabins USA and start planning your unforgettable cabin retreat with your whole family!